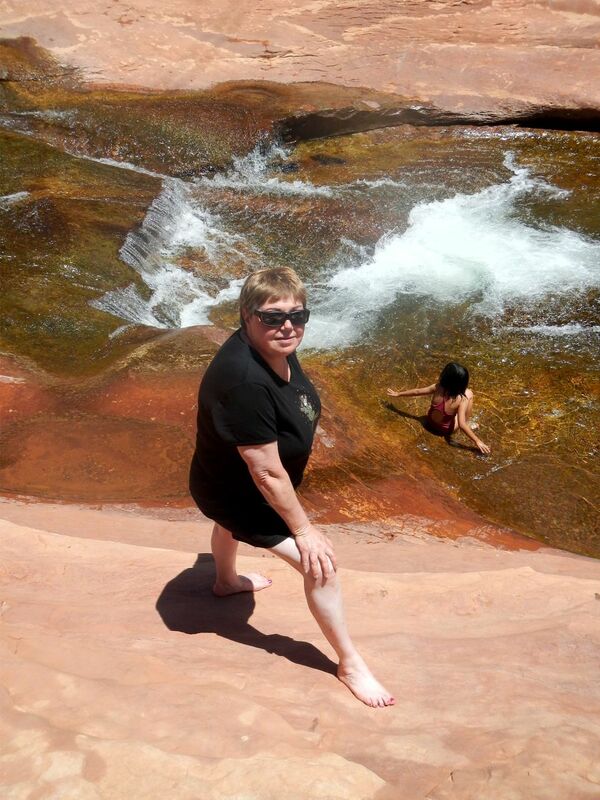 I’ve been going to Sedona, Arizona on and off since the 70’s. Love that place. 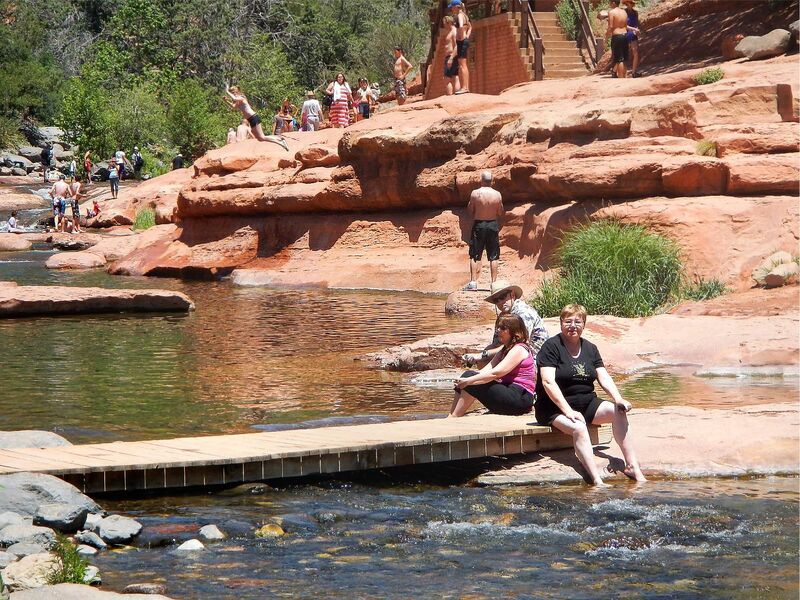 Back then although Sedona and it’s Waterhole weren’t really a secret, things weren’t overly crowded either. That changed. Some major magazine (was it Look?) 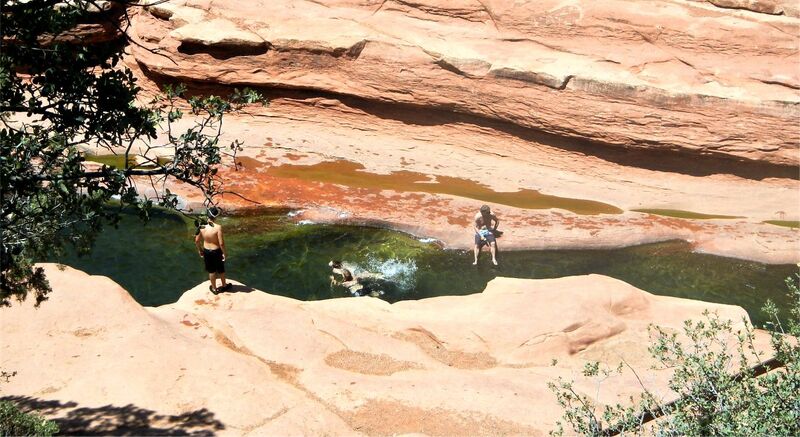 published an article on America’s great waterholes. Next thing you know the place was packed. 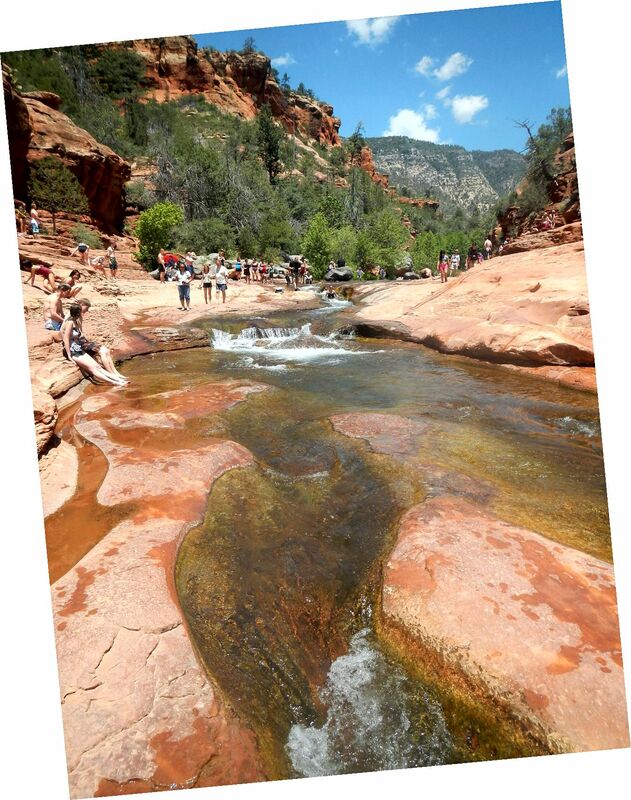 Now it’s called Slide Rock State Park. And you have to pay to get in. 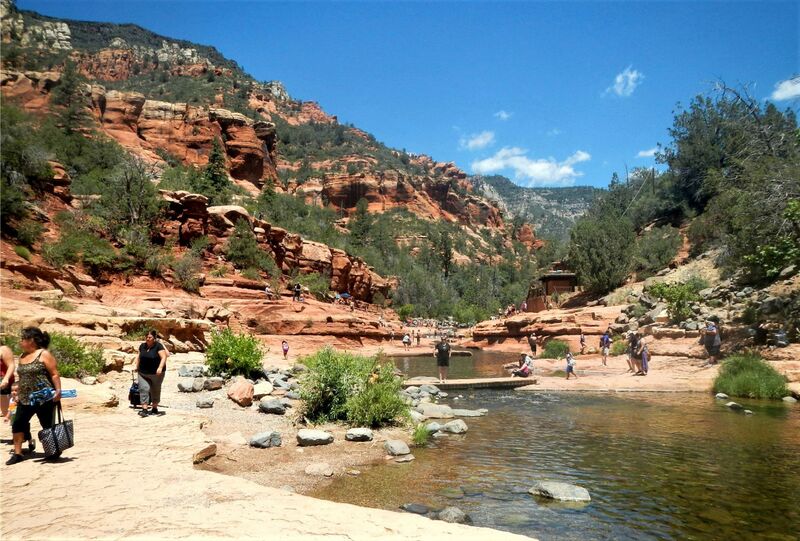 Like many National Parks in the US and Canada the whole area has become a Tourist Trap. Frankly, many Parks are being ruined by too many visitors. Hell, Yellowstone has had traffic jams for years. Banff National Park in Canada will soon be forced to limit access. Just too many people. And if you want to camp in most any major Park up here you have to book WAY ahead. Sometimes a year ahead. It’s a crisis situation. Some Parks I visited you can’t even take a photo without 10 people in it. Or more. ??? 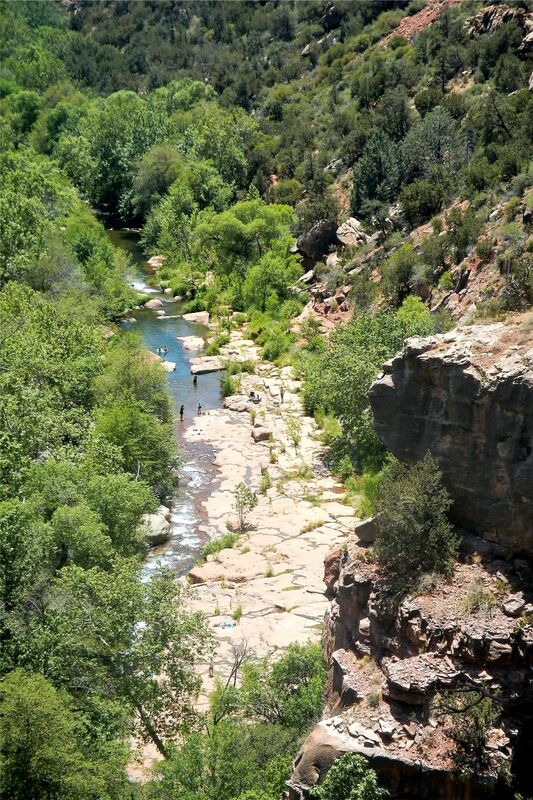 So I’ve been dismayed for many years on how badly Sedona is being impacted. 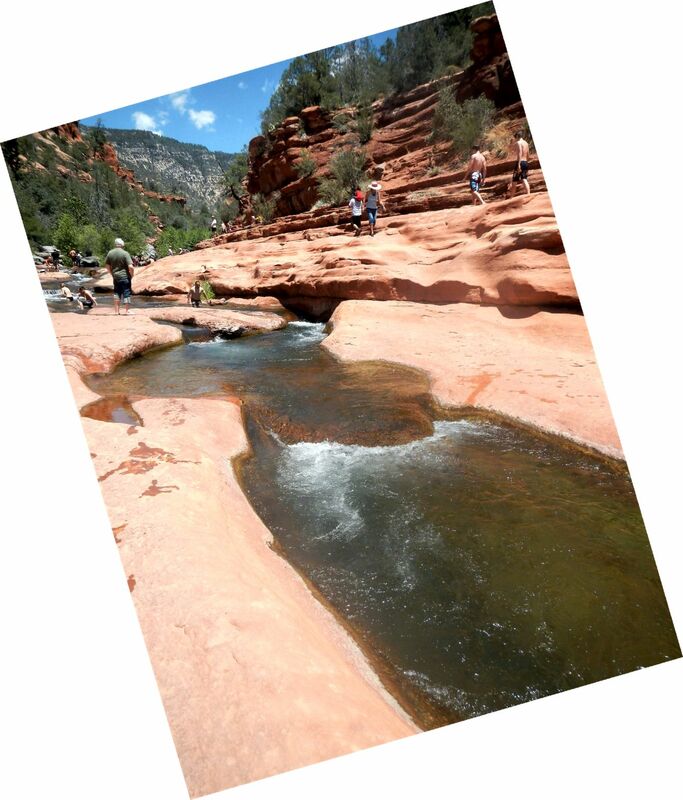 Jeep Tours, ATV rentals, mountain bikers, motocross cycles – a lot of different things. The place is being destroyed. 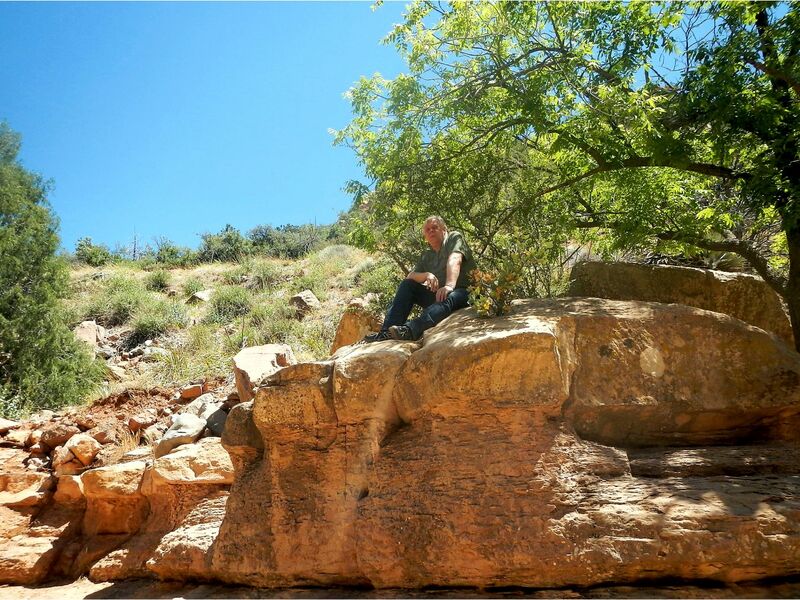 When I hiked up to Cathedral Rock back in the 70’s I felt like I was in a remote area. Not now. Most of the following photos are from a visit in 2013 (?). Here’s what it looked like that day. We snuck in – it woulda costs 20 bucks otherwise. Here’s where we snuck in. I hear they have guards of Wardens there, but we never saw any. ?? When it’s hot that water is sweet. You can see how gorgeous it is there, so I can’t really blame folks. It was HOT so I sat in the shade for a bit. Look how young and wonderful I was. That’s Rose on that little bridge. 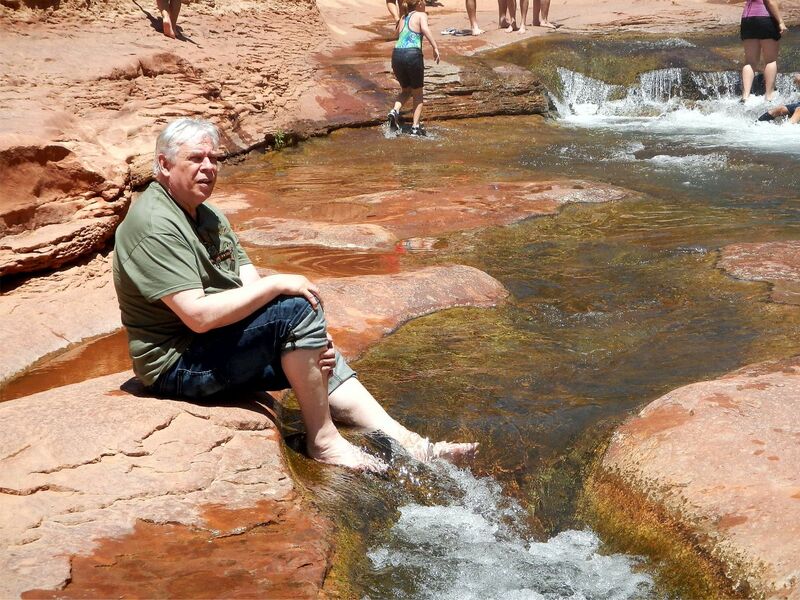 … and cooled our feet. BOY ! Did that feel good !! 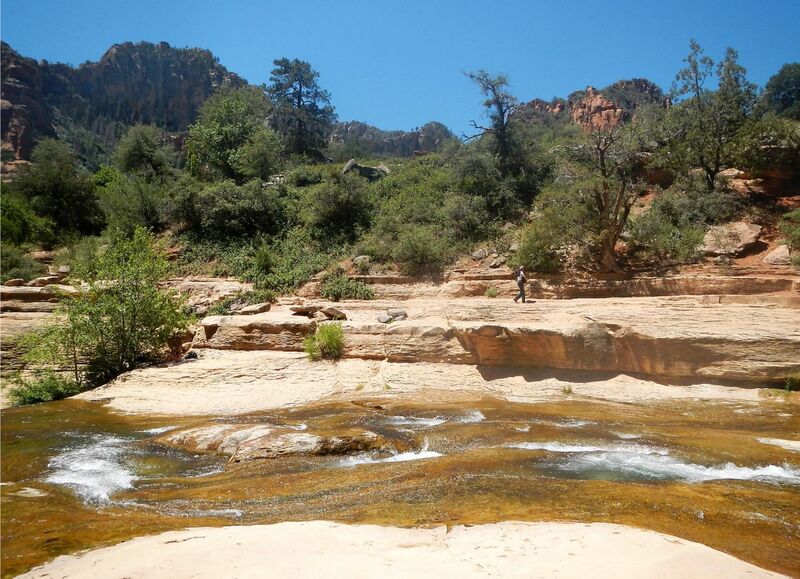 But if you don’t want the crowds you can still hike into spots up creek. 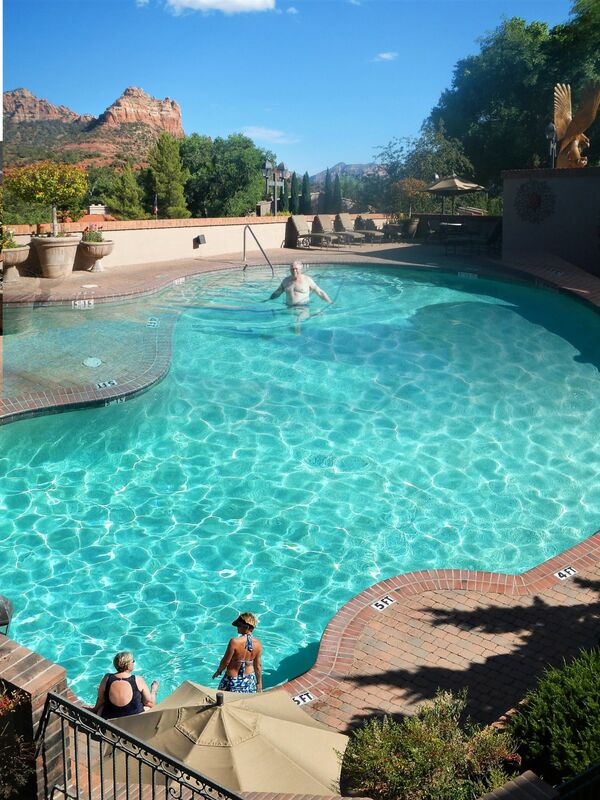 Or you can always take a dip back the hotel. It’s nice … but NOT the same. I swam at famous Oak Creek Crossing beneath Cathedral Rock. What a magic moment that was! It is a shame, indeed. I live 20 mins from Sedona and won’t drive through it during certain times of the day and avoid it like the plague during weekends. 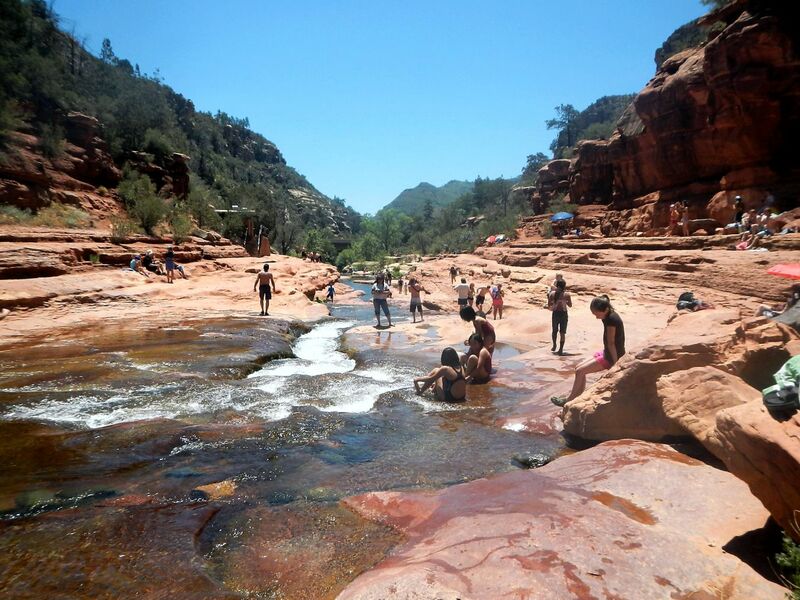 When I do drive by Slide Rock SP, I cannot believe how crowded it is. Therefore, I have never been there! I missed the boat on the Water Slide because I could have gone there before the whole universe knew about it. 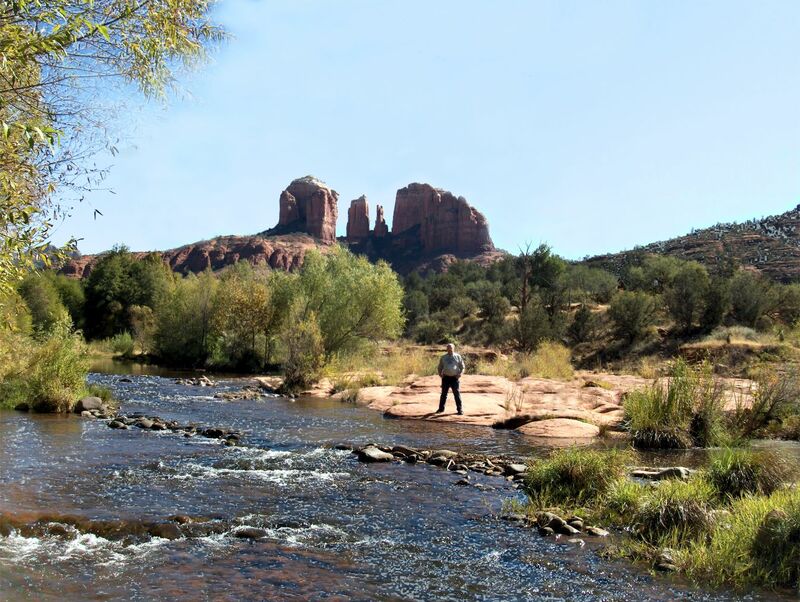 But there are many other things around Sedona – as you well know – that I have experienced and have many great memories about. I just wish they would take greater care of the area. 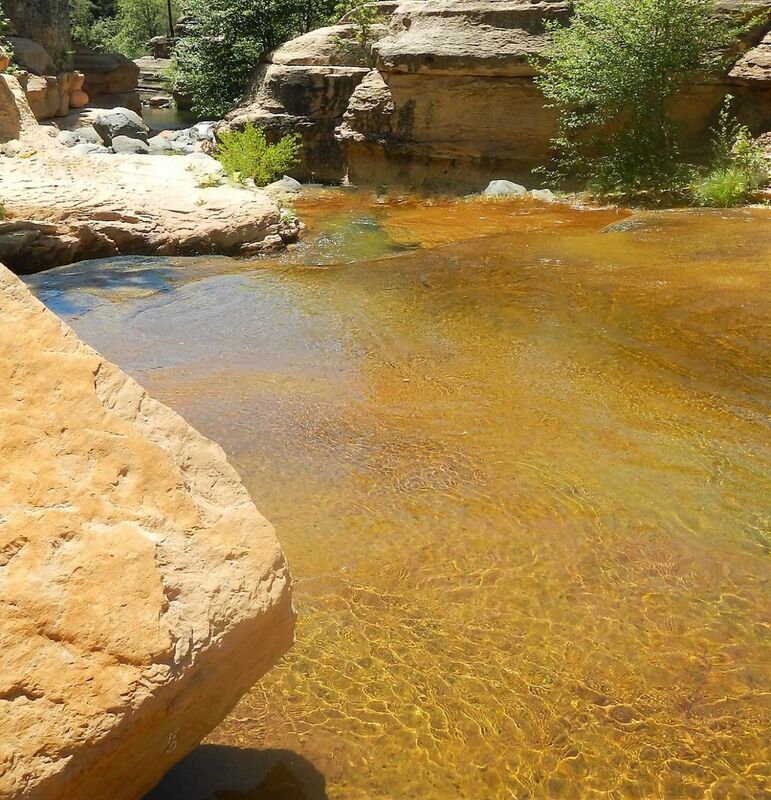 Next time you and Rose return, you should try out the Eastern side of AZ. I love the White mountains. The Rim is awesome. Why thank you! That’s very kind. I will.